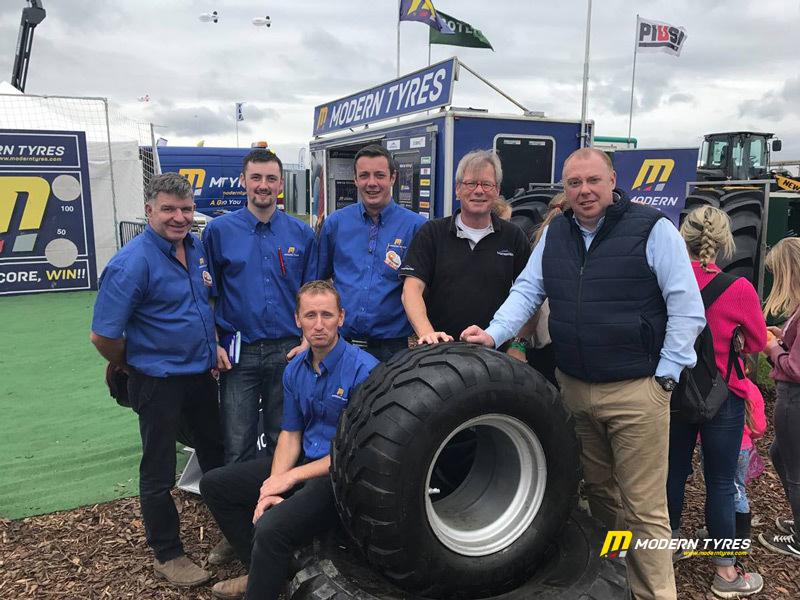 With over 280,000 visitors at this years Ploughing Championship, Modern Tyres had a very busy schedule at the biggest outdoor agricultural event in Europe. 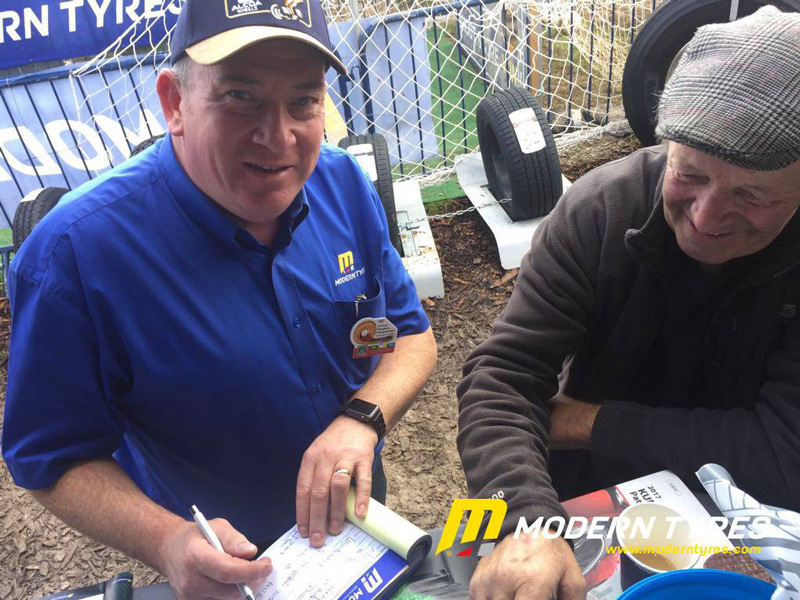 It all started back in 1931 over a disagreement between two lifelong friends. 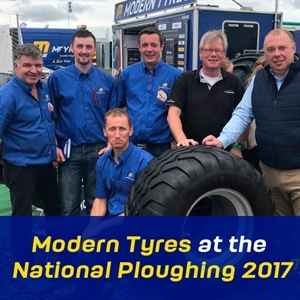 Each had the opinion that the ploughmen in their respective counties, were better than the other. The gauntlets were thrown down and the rest is history. Fast forward until today and we have the 86th National Ploughing Championships, drawing people from all over the world including visitors, farmers and stallholders. 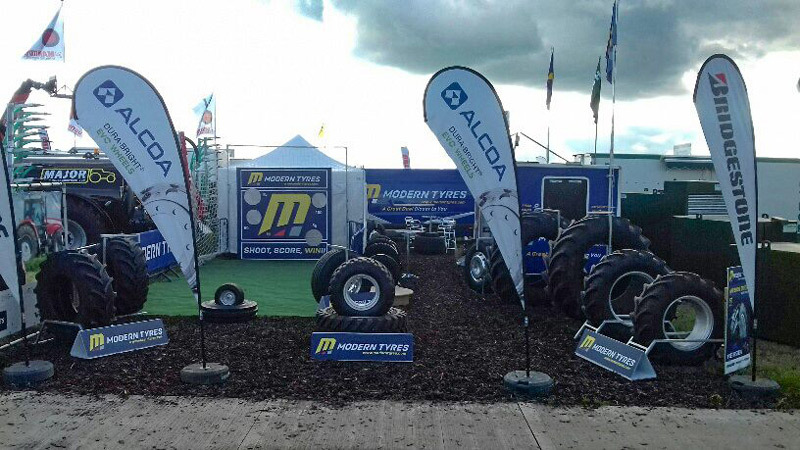 The vast array of sales and merchandise is incomparable to any event like this in Europe. 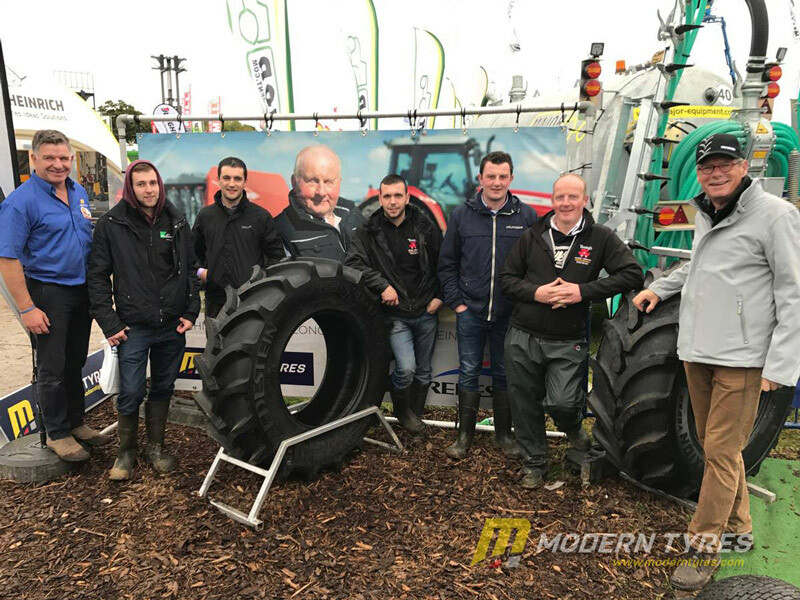 Modern Tyres were inundated with enquiries at the event and were visited by farming dignitaries from all over Ireland. 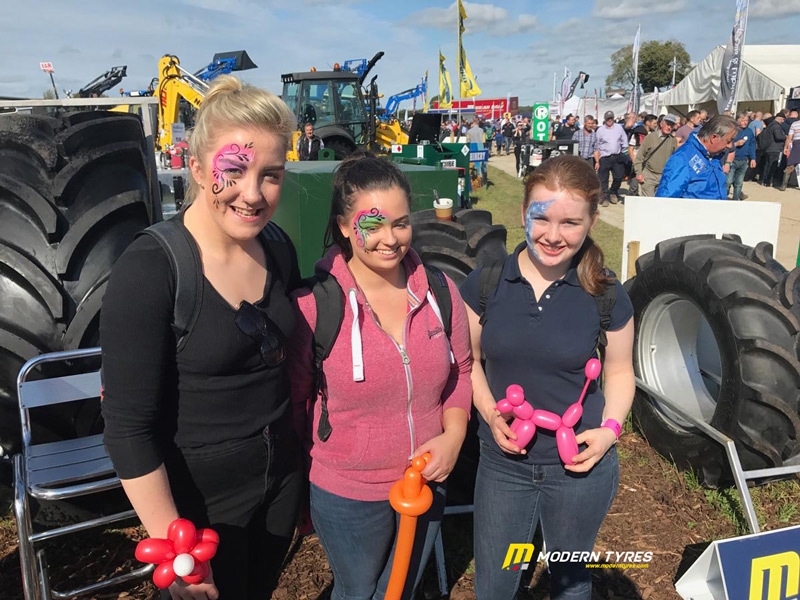 With food stalls, entertainment, visitors from all over the world, the National Ploughing Championships is a truly great time out for everyone. 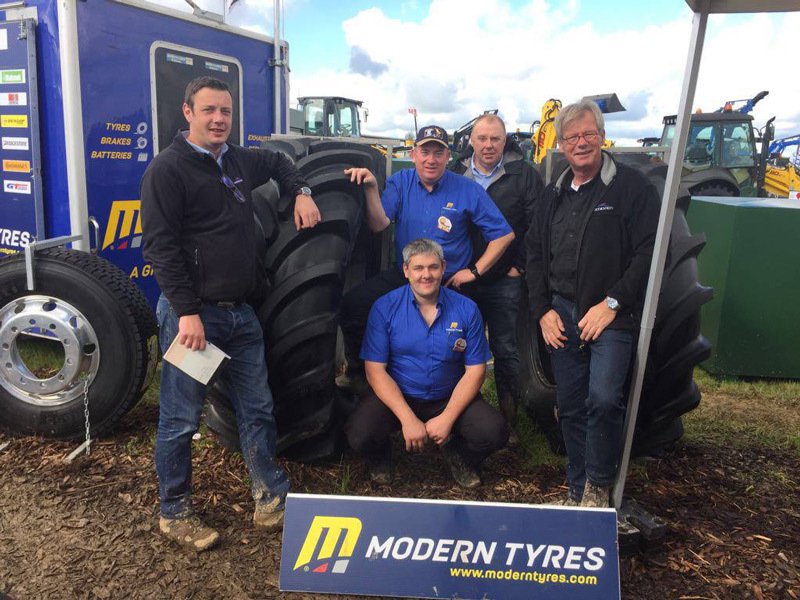 Modern Tyres were joined by representatives from Vredestein, in Holland. 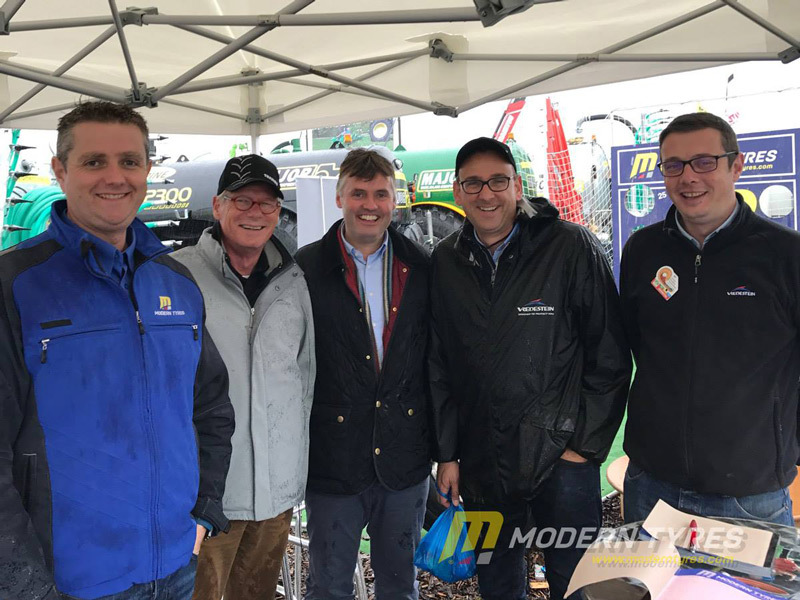 Our core team of specialists were on hand to make sure our customers were aware of the latest tyre technology for all vehicle types from cars, 4x4s, vans, trucks, agricultural and heavy industrial.